Mi'kmaq Native Friendship Centre runs an innovative program for aboriginal federal prisoners in Dartmouth. Complete blackness envelops me. The chanting and heavy breathing of everyone else rings loudly, like thoughts in my own head. I retreat under my towel from a blast of cedar smoke and scorchingly hot steam. This is hopefully the closest sensation to burning alive that I'll ever feel. Finally, I murmur the sacred words and scramble out of the lodge. I've never seen things so clearly or felt a burst of so many endorphins. I've been invited to a sweat lodge on military property in Dartmouth, to join aboriginal federal offenders in one of the intense hour-and-a-half-long sessions that are helping lawbreakers turn their lives around. 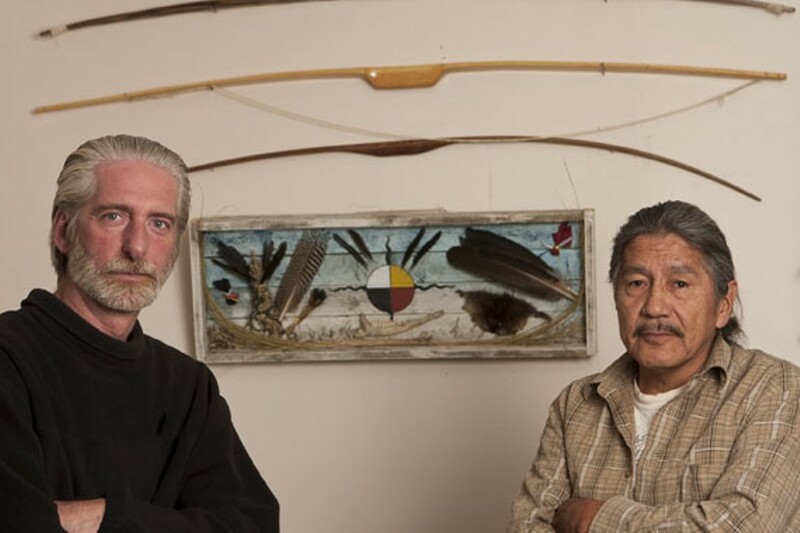 The Aboriginal Corrections Policy Unit in Ottawa has given the Mi'kmaq Native Friendship Centre a five-year grant for the new program, called the Seven Sparks Healing Path Program. The program is picking up steam, with plans to build a permanent healing lodge---the first of its kind in Atlantic Canada, providing aboriginal offenders with supportive transitional housing and a place to learn about their culture. Such services are crucial. While aboriginal Canadians are nine times more likely to be incarcerated than non-natives, they're also unlikely to receive timely access to rehabilitative services, according to a 2006 report by the Office of the Correctional Investigator. It's tough to reintegrate into a society that you were never part of in the first place, but that's the reality many aboriginal federal offenders face. After prison, many of Nova Scotia's aboriginal offenders make Halifax their home, because they may be ashamed to go back or are not welcomed back on their reserves, explains Scott Lekas, Seven Sparks' program developer. Most of the program's participants are young men in their 20s. Some experienced abuse, while others struggle with addictions and anger management. The program employs innovative methods, including teaching men to respect women through serving them. "They're going to cook a traditional moose feast for the women," explains Lekas. "They'll stand on the periphery and if anyone needs a tissue or anything they're going to serve them." The program's elder, who doesn't give me his name because of his wish to embrace complete humility, goes to AA with participants and encourages participants to learn trades, go back to school and figure out what they want from life. It's working for some: One of the participants speaks excitedly about a carpentry program he's taking, getting his GED and his plans to start his own band in Halifax. The elder also provides participants with continuous moral support. "You're trying to reinstall the pride, the dignity, the songs, the language and the way that we pray," he says. Seven Sparks' 10 participants get in touch with their roots through talking circles, bow making, fishing, smudging, traditional feasts and sweats. "Going to sweat and letting it all out is like going to a psychiatrist. You let go of all the pain and issues that you've got going on in your life. You can vent it out and the elders will listen to you," explains a 25-year-old who's serving four years for theft. "Before I went to prison I was addicted to opiates and cocaine and stuff. That's how I was living my life every day, just doing drugs, not really caring about nothing. That's how I ended up in prison." He grew up on the Indian Brook reservation, where he recalls it was easy to get pills he from "quack doctors." "When you go there, you just gotta say I got a sore back and they'll write you a script for Percocets, Oxycontin, whatever, and they don't really ask you questions." He was never involved in his culture until he went to jail and met an elder from an inmate group called the Native Brotherhood. Now that he's living in a halfway house in Halifax, he says that the Seven Sparks program provides him with stability. "That's a shame that you've gotta go to prison to learn your culture," he says, laughing sadly.